Going to the toilet, tying your shoelaces, brushing your teeth and speaking correctly are all tasks that children should have mastered before starting school, however it transpires that many little ones are lacking these crucial skills, and are even arriving at school without basic hygiene awareness. According to a recent study, an increasing number of children are starting school without being able to communicate or carry out key tasks for example using the toilet. 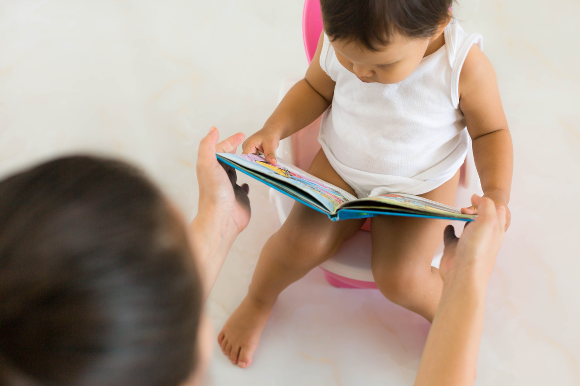 BookTrust, the UK’s largest children’s reading charity, wants to help time poor parents and urges them to start reading basic life skill stories to little ones now, ahead of their life changing move to primary school in September. Having these skills before they start school, so they won’t fall behind, hold classmates back and to also help ease the burden on teachers. BookTrust has put together a booklist to encourage parents and carers start talking to small children about starting school and the skills they will need – for example going to the toilet, brushing their teeth, tying their laces, speaking properly etc. These books are brilliant for helping toddler and pre-schoolers (ages 2-4) develop everyday life skills. The Little Princess hates nappies and thinks there must be something better. This is classic picture book entertainment, which will be especially appreciated by any children who are learning to love their potty! Zeki is a big boy now – he loves hiding toys, playing ball, singing and dancing. Today, he’s going for a checkup at the doctors’ with Daddy and his toy Mister Seahorse. A lovely book to share with toddlers, which marks their developmental milestones. To see the full booklist, click here. According to Amanda Spielman, head of Ofsted (as published in the Daily Telegraph) “Children arrive at school without the words they need to communicate properly. Just imagine the disadvantage they face, right from the start. Unable to follow what’s going on. Unable to keep up with their classmates. Unable to reach their full potential.” In the piece, she also reported 70% of schools are finding an increasing number of children starting school without being toilet trained compared to five years ago. The world’s longest continuous inflatable obstacle course bounces into Surrey this weekend. Kempton Park Racecourse is the location for the Labyrinth Challenge, an inflatable wonderland for all the family featuring 30 attractions, a mini-course for the younger ones and a giant air-filled assault course for those brave enough to take it on. 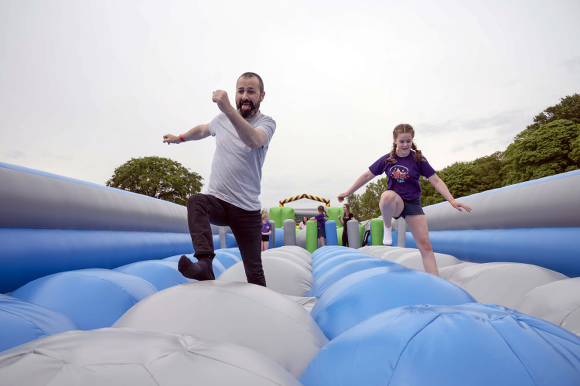 Dan Byrne, Tour Director for The Labyrinth Challenge, said: “We’re ready to celebrate the summer by bringing the Labyrinth Challenge and Inflatable Village to Kempton this weekend. 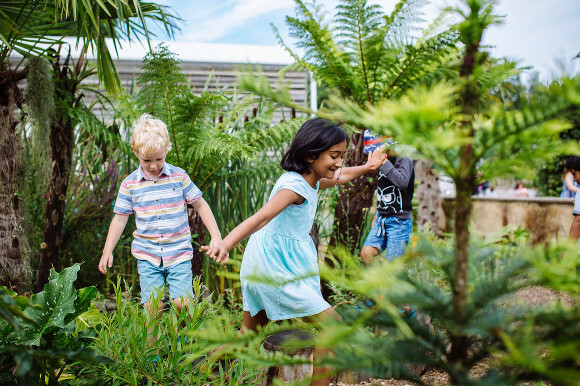 “While our new look main course provides serious fun and excitement, this year the expanded Village ensures it’s a true family outing with attractions and entertainment to keep kids and adults entertained for the whole day. The event takes place at Kempton Park Racecourse this Saturday and Sunday, August 4 and 5, from 11am to 5pm. Calling all Bingsters! Bing and his friends are going on tour in the first ever Bing stage show, Bing Live!which will be visiting Guildford’s G Live on Saturday 31 August and Friday 1 September as part of a major UK tour. 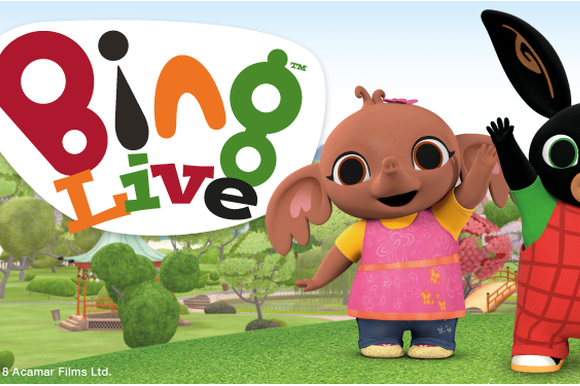 Bing Live!is produced by Minor Entertainment (In the Night Garden Live) and directed by Will Tuckett, guest principal character artist of the Royal Ballet, whose production of Wind in the Willowswon an Olivier Award for Best Entertainment in 2014. The show will also bring together a first-class creative team to ensure a quality family entertainment stage show for audiences of all ages. Bing is adapted for the stage by Helen Eastman with costumes and puppet design by Tahra Zafar. As Head of Costume, Hair and Make-up for the Olympic and Paralympic Opening and Closing Ceremonies staged in London, 2012, Tahra managed the production of 23,000 costumes for all four Ceremonies. Her film projects include: Star Wars VII The Force Awakens, X Men-First Class,Harry Potter and the Philosopher's Stone andThe Fifth Elementand for television:In the Night Garden, Zingzillas and The Adventures of Abney and Teal. Want to be in a pantomime? Oh yes you do! Talented young dancers, singers and actors are needed to take part in Camberley Theatre's Christmas pantomime. The theatre will be presenting a brand new adaptation of the classic fairy-tale; Sleeping Beauty with singalong songs, high energy choreography, beautiful scenery and a host of side-splitting jokes! Young performers over 9 years old and under 5 foot tall are needed to be a part of the production. The show runs from December 10-31, 2018. 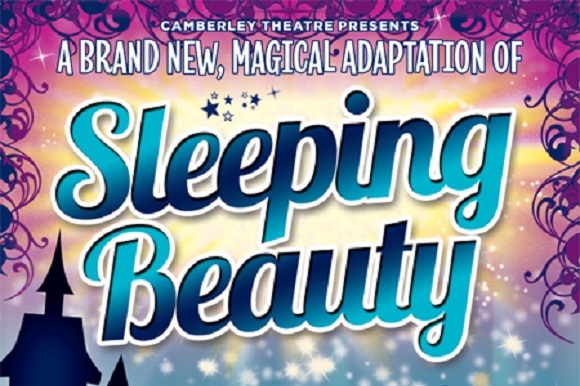 Sleeping Beauty is a tale never told before in Camberley and with lots of audience participation, loveable characters and special effects, this promises to be Camberley Theatre’s funniest and most magical pantomime ever! No experience is necessary; the audition is open to all and will feature a dancing, singing and acting audition so the director and choreographer can see performers in action. The open auditions take place on Sunday 16 September 2018 and start at 12 noon. You can download and complete a registration from the website, https://www.camberleytheatre.co.uk/events/sleeping-beauty-juvenile-auditions and return by 10 August 2018.